Fairy gardens are cropping up all over the place, and with our addition of some new web exclusives, you can easily create a fairy garden in your own planter box or backyard. Today we are also laying out some basic materials you’ll need to DIY a fairy garden, followed by some inspiration to help get you started. The space or a container. 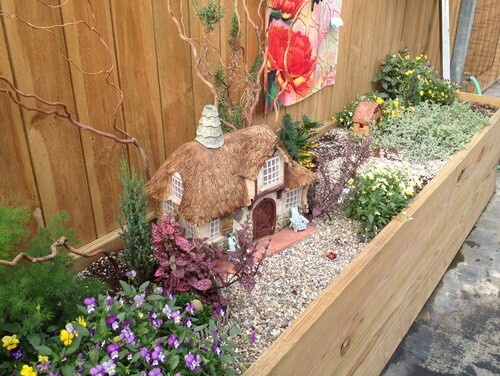 Prop little fairies and their houses at the base of a tree trunk or in your already-established garden for a little more whimsy this summer. Or, choose a container to create one from scratch. You could use a terracotta planter, a bucket, a wash tub, a wagon and even an outdoor table (see below). 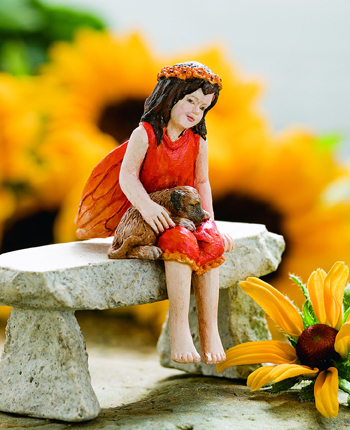 Elevate the fairy garden for enhanced visual appeal. Potting soil and plants. You can choose any plants and flowers that you adore, but in addition, we recommend incorporating moss and green leafed plants. You could even use low-maintenance succulents! Wood and rocks. If you’re simply adding a few fairy friends to a garden, consider crafting a makeshift bench or a small rock pathway for added charm. 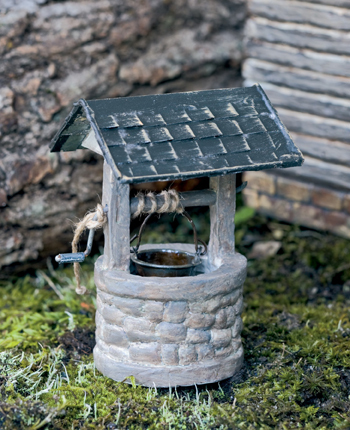 If you’re going all out with a DIY fairy garden, you could construct a mini pergola out of twigs, a small fence out of painted popsicle sticks, and a little patio for the fairies. 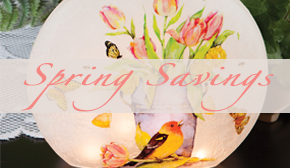 Adding a small birdbath would also be lovely, and it would provide a nice resting spot for your backyard birds. but still exudes joyful storybook charm. 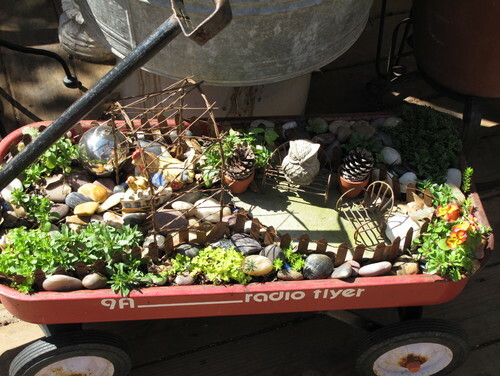 A little more involved, we love that this fairy garden was made in a vintage red wagon (which means you can move it anywhere on a whim!). 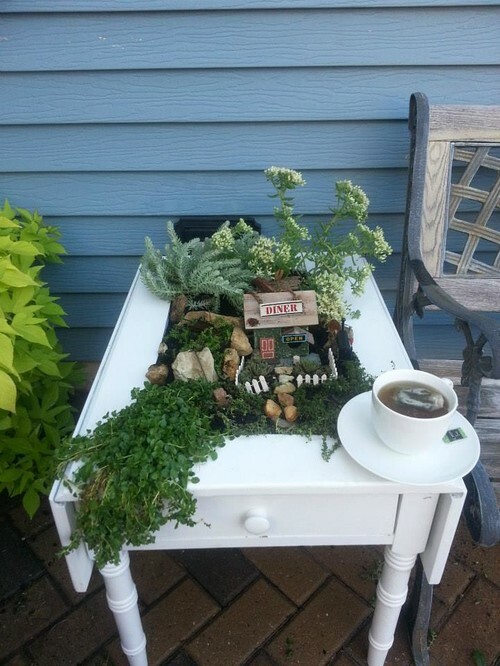 This adoring fairy garden was (ingeniously) constructed in a table. be charmed by the fairies and still use the table for serving tea to friends. pictures of your own DIY fairy gardens this summer! This entry was posted on Thursday, July 20th, 2017 at 1:31 pm	and is filed under Crafting, DIY, Outdoor, Thursday's Theme. You can follow any responses to this entry through the RSS 2.0 feed. You can leave a response, or trackback from your own site.